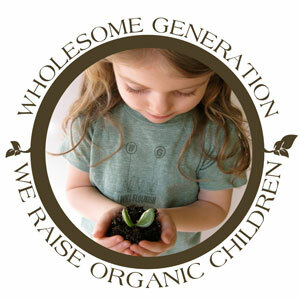 Wholesome Generation (Formerly Whole Kids Adventure) is an innovative child development model to change the culture of junk food by educating children and their families about healthy eating habits and physical exercise. Our unique programs are formed to inspire families to change the way that they eat, while we address the growing obesity epidemic in children and adults by implementing healthy, organic nutrition in an eco-friendly environment. Wholesome Generation is offering the first ever shared harvest program at a pre-school and our curricula will include culinary and gardening programs (creative hands-on activities include lessons in composting, beneficial bugs, water systems, and seasonal growing cycles for Central Texas), in addition to progressive learning tools (art + movement + music) and a mandatory second language (french + spanish). ——– To truly make an impact to expand this to all members of our community, we have started our “Hero Fit” family make-over program. Hero Fit is a scalable, self-sustaining program under the Wholesome Generation umbrella, in which families are partnered with a local team of volunteers, community advocates, and healthy living experts, and are empowered to lead healthier lives. Over the course of three months, our experts teach the families to adopt healthier lifestyles and become mentors and activists for healthy change in their communities.